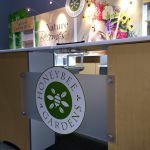 Since 1995, Honeybee Gardens has operated under one simple concept. 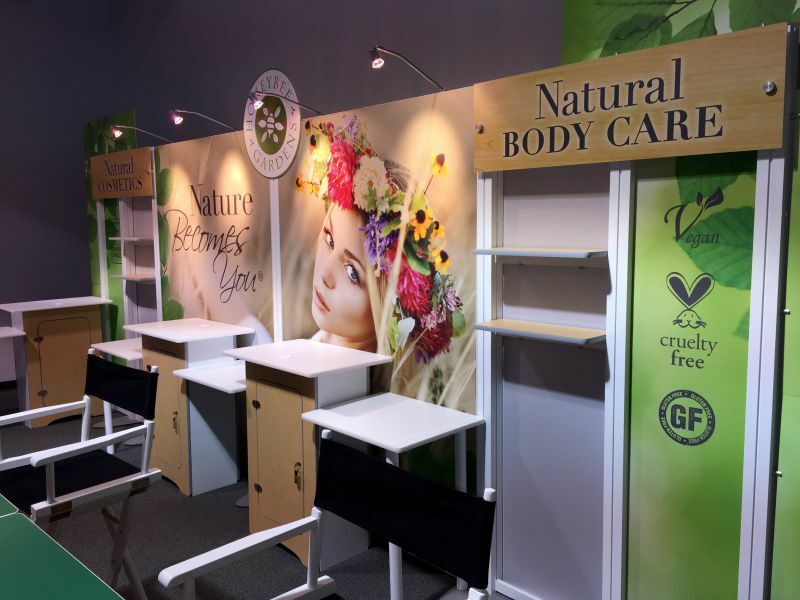 Create pure all natural bath and body care products from only the finest organic ingredients. Offer them at a reasonable price and treat every customer as a friend. 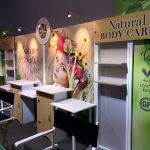 Xhibit Solutions was able to support this endeavor with much of the same philosophy. 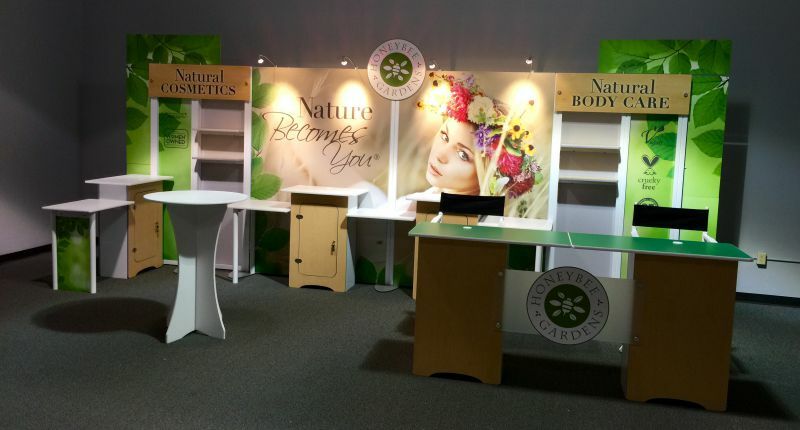 Offer the best designs and structures at reasonable prices, and work with our clients as partners and friends. 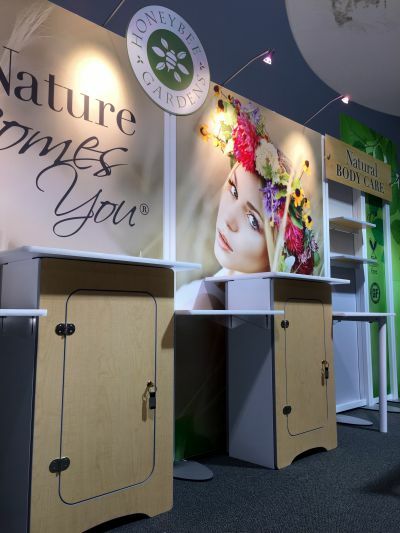 We found a great partner in Honeybee Gardens and developed the beautiful 20' inline exhibit for their participation in the Natural Products West Expo in LA. 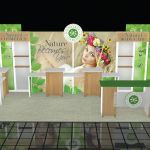 The exhibit includes merchandising areas, large format dye sublimated silicone edge mural graphics, and demo areas for on the spot makeovers and experiential marketing. 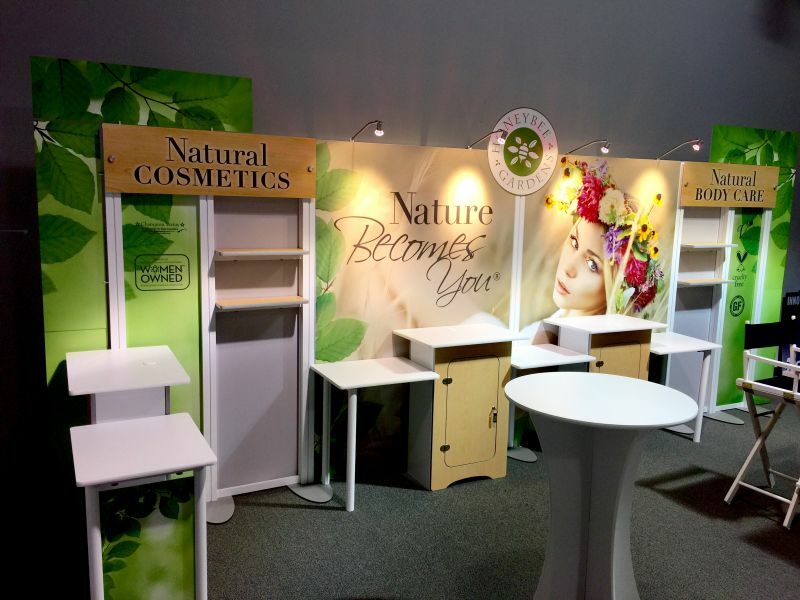 The ample table and storage space allows Honeybee to stock plenty of product to sell products on the show floor. 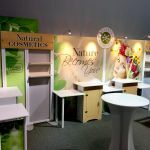 The high impact visuals attract attendees to the space and reinforce their branding. 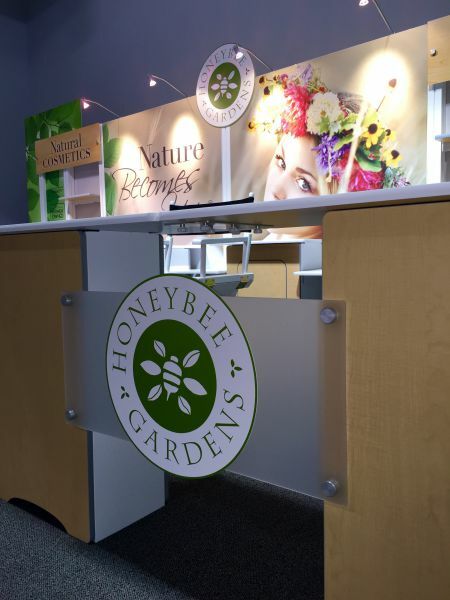 The beautiful photography, translated via high resolution premium dye sublimated fabric murals carry the natural beauty of the Honeybee brand model. As an early pioneer of dye sublimated fabric prints, Xhibit Solutions has used this technology for over 10 years. 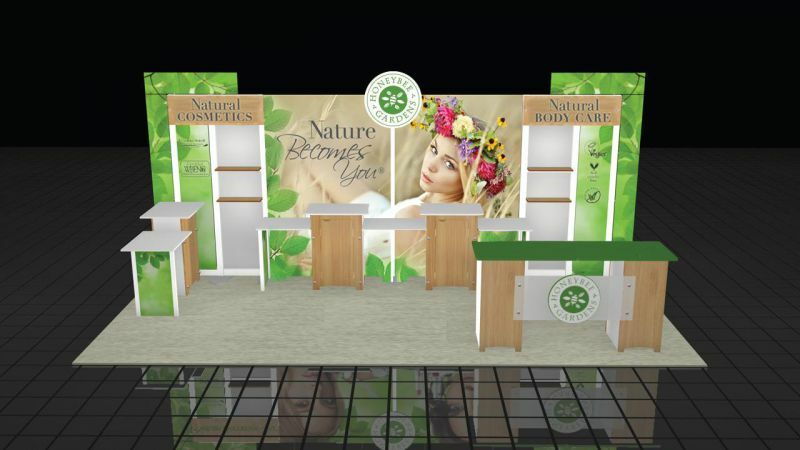 In a design such as this, the 8'x8' murals reinforce the quality of the product through the clean, seamless look and high color saturation and resolution. 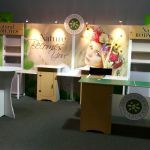 Choose your partners wisely, and maybe your next exhibit can be all the buzz of your next event, just like Honeybee Gardens.